Sneakers, sneakers and more sneakers! Brands constantly churn out new styles one after another, it’s like they’re never taking a break. It can get overwhelming at times, but with this non-exhaustive list of sneakers released this month, life has been made much simpler for you. Timberland and MADNESS have once again come together to launch a collection that features a perfect blend of craftsmanship and meticulous details. This collection comprises of both limited edition and mainline collection silhouettes, with a total of three atypical footwear styles — Fabric/Leather Vibram Lug Boot, Chukka and 3-Eye Vibram Shoes. The Fabric/Leather Vibram Lug Boot is reinforced with Gore-Tex Technology, making the shoes waterproof while still being lightweight and breathable. All these stylish silhouettes are crafted with premium suede leather while resting atop a Vibram outsole for all-day comfort. Now available at Timberland at Raffles City and MADNESS dealers at Limited Edt Vault at 313 Somerset. The Brooklyn Boot is an all-rounder — it is stylish, comfortable and practical. The upper is made from stain-resistant, premium leather. A full-length side zip ensures easy accessibility and interestingly, the shoelaces are 100% recycled from PET bottles! The AeroCore energy system’s new lightweight sole design allows for high-rebound cushioning and comfort in every step. Now available at all outlets. 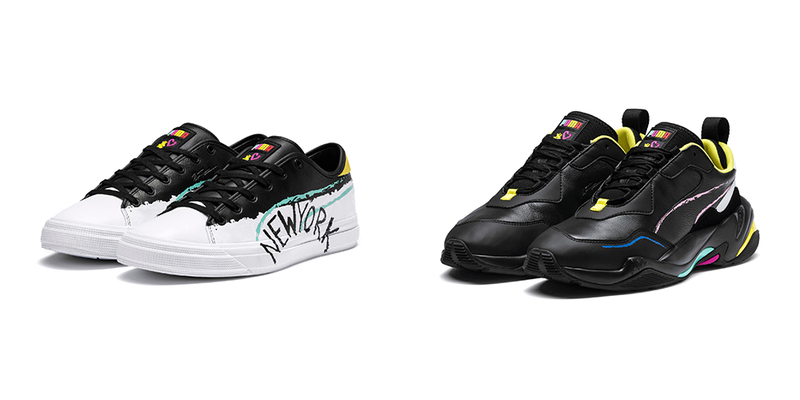 Converse has released two new sneakers — Converse ERX by Don C and The Dark Star. The Converse ERX by Don C is great for those who prefer the slightly over-the-top basketball style. The ‘Metal’ version goes for a simple and classic look while the ‘Animal’ version goes for a statement look. As for The Dark Star, it is a collection made in celebration of One Star’s 45th anniversary and is available in five different colours. At first glance, this collection may seem ordinary. The phrase ‘Sworn To Fun, Loyal To One’ that is featured on the black laces and the thin black pinstripe on the midsole makes The Dark Star not that ordinary after all. The Dark Star is now available at all Converse Boutiques. Converse ERX by Don C is now available at Converse Ngee Ann City, ION, Vivo City, Bugis Junction and Changi Airport Terminal 2. The GEL-Nimbus 21 is the latest release of ASICS’ top-of-the-range, neutral long-distance running shoe. With ASICS’ latest cushioning technology, this pair of shoes will give you a spring-like feel for a more energetic and lighter run. Together with ASICS’ other new technologies, this pair of shoes offer a good fit, maximum shock absorption, as well as energised cushioning, suitable for neutral runners. Now available at select stores (ASICS Plaza Singapura, Suntec City, Vivocity, and NEX). 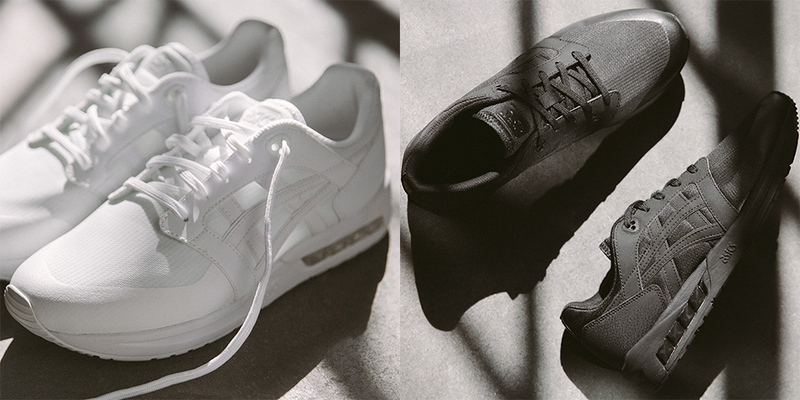 With black and white colourways, The GEL-Saga Sou is a style that is suitable for everyone. It draws inspiration from the popular GEL-Saga model and fuses the brand’s legendary patented cushioning technology into its design. The insertion of this technology into the midsole creates an elevated structure containing a unique ‘sou’, or ‘window’ effect. This visible window in the lateral heel allows you to observe the technology hard at work while providing a comfortably-cushioned sensation. Now available at all outlets and Robinson’s at the Heeren. This collection consists of streetwear staples reimagined with bright colours and rich symbolism such as skulls, hearts and even hashtags. The PUMA Capri Bradley Theodore is built with a soft leather upper and has the famed ‘NEW YORK’ script on its side. The PUMA Thunder Bradley Theodore too has a soft leather upper as well as contrast mesh lining, complete with a chunky sole. 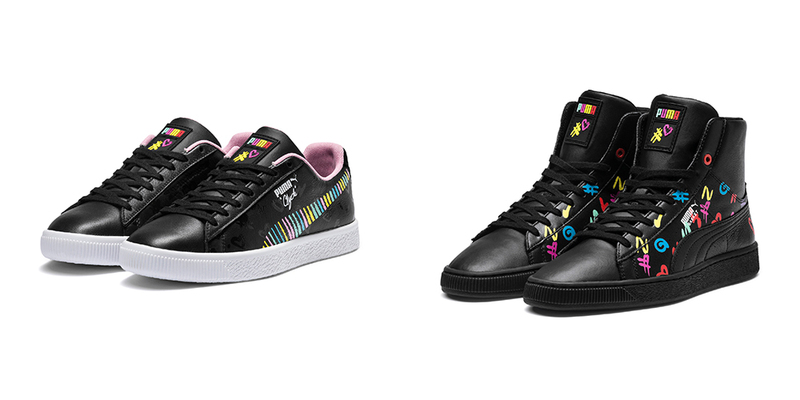 Bradley Theodore gives the classic PUMA Clyde and Basket sneakers a fresh look with colourful hand-drawn graphic designs, creating the PUMA Clyde Bradley Theodore and PUMA Basket Mid Bradley Theodore. Now available at PUMA Bugis+, PUMA SELECT MBS, AW LAB, CK Tangs, Limited Edt., STAR 360 and The Social Foot. The performance-first design of this shoe means that it is suitable for practically anything, including intense workouts. With the 2mm heel to toe drop, one of the most progressive options in the market, you can transfer power from the ground into your intended movement easily. The UA TriBase technology boasts three zones of flexibility which allows you to move your feet naturally. On top of that, the tough ripstop material and durable mesh provide 360-degree abrasion and heat resistance. Truly a performance-first design. This is Cole Haan’s first shoe designed to seamlessly transition from work to workout, and everything in between. Created to ensure durability and endurance, The ZERØGRAND All-Day Trainer is perfect for the workout fanatics. It is able to stabilise the foot and provide adequate cushioning throughout the whole day. With its stylish design, this pair of shoes can be worn anytime, anywhere. Now available at Paragon and Suntec City outlets. 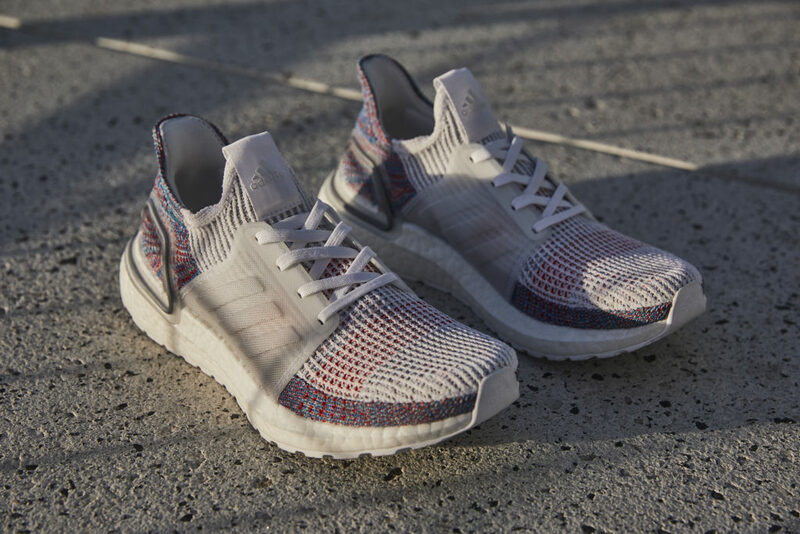 The Ultraboost 19 Refract features a mixture of white and multicolor yearn and a translucent plastic lace cage. With its optimised BOOST midsole, you can now have more energy in every stride. Its other features like the lightweight torsion spring, 3D-knitted primeknit 360 and 3D heel frame result in a perfect combination of adaptability and support in this pair of shoes. The men’s version is now available online, at Suntec City and ION Orchard outlets, and at IRUN at 313@Somerset. The women’s version will launch on 21 February 2019. This special collection celebrates the 10th anniversary of ECCO’s BIOM technology. This technology allows for low-to-the-ground construction that helps improve the wearer’s motion control and stability, and also allows the wearer to enjoy a snug fit. The long-lasting cushioning, resilient and shock-absorbent properties result in a pair of shoes that feels just like second skin. Available exclusively at ION Orchard and The Shoppes at Marina Bay Sands outlets from end January 2019. Designed by women for women, the Nike Air Max Dia is a shoe with splendid proportion. Its elegant stack height is derived from the team’s established goal for the shoe — to highlight the Air unit in the biggest way possible. Well, the Nike Air Max Dia certainly did. 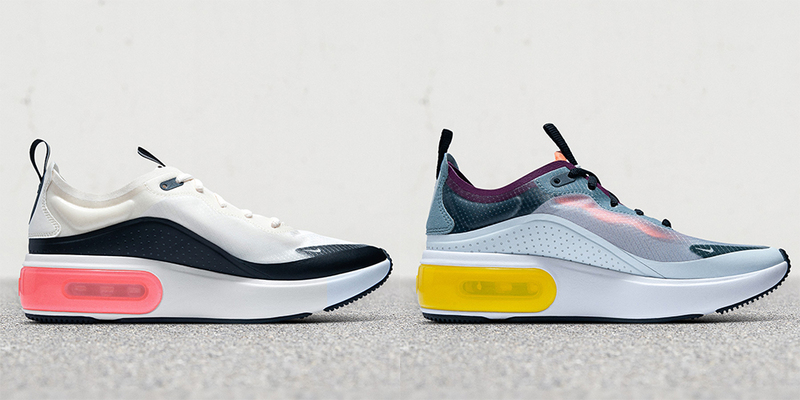 Its tapered toe box, low collar, big lift and translucent Nexkin upper all came nicely together to give the Nike Air Max Dia its modern look. Definitely a pair that shouldn’t be missed, especially for those into athleisure fashion. Now available online and at select retail stores. 8-bit and Pixel draw inspiration from the vibrant tones of the ’90s tech world, featuring a white-to-lime gradient midsole, a hyper pink-to-white outsole and a sapphire heel clip. 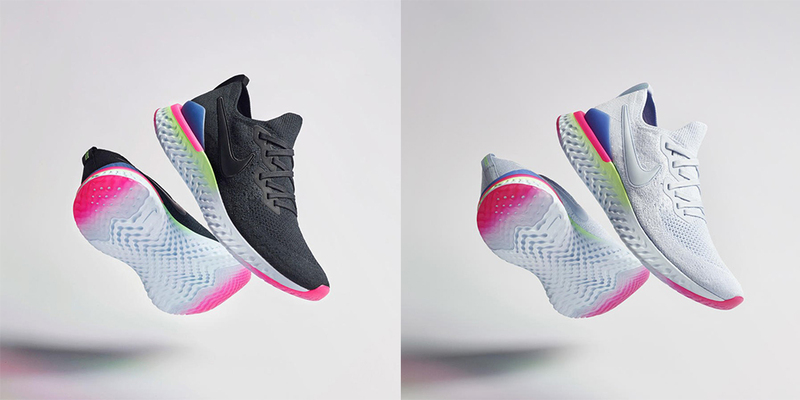 Just like the Nike Epic React Flyknit, these shoes incorporate the React Technology, which is the brand’s longest-lasting foam, making the shoes light and nicely cushioned. Available online and at select stores from 31 January 2019.